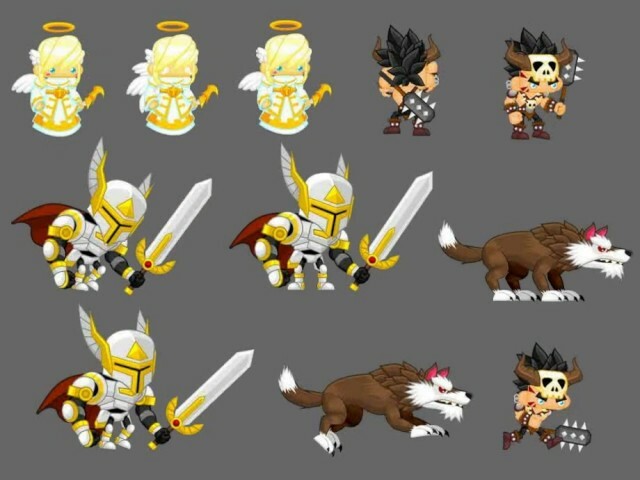 A collection of various character spritesheets for creating a 2D platformer or side-scroller game, especially games with adventure, kingdom, castle, dungeon, fantasy, and/or medieval themes. — 3 human characters: Paladin, Angel, and Barbarian, plus one creature (Wolf). All are animated; 10 frames for each animation.